LAS VEGAS — The UTRGV men’s basketball team rallied late but fell short of the program’s first conference tournament victory in more 20 years on Thursday when No. 5 seed UTRGV fell to the No. 4 seed Seattle U Redhawks 77-60 in the WAC Tournament quarterfinals at the Orleans Arena in Las Vegas. 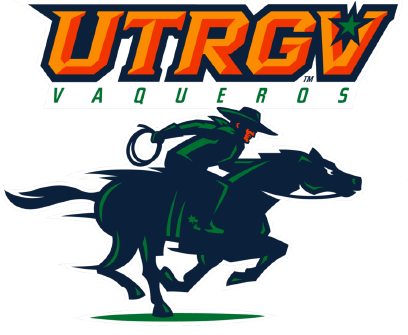 UTRGV’s last conference tournament win in a league with an automatic qualifier to the NCAA Tournament came during the 1995-96 season, when then-UTPA defeated the South Alabama Jaguars 61-48 as members of the Sun Belt Conference. UTRGV is winless in five trips to the WAC Tournament. UTRGV (15-17) ended the regular season on a slide, losing five of its last six, but still set a new program records for WAC wins at 6-8 in conference play, eclipsing the mark established during the team’s inaugural season in the league in 2013-14. Seattle U (20-12) found redemption after limping into the tournament off of three straight conference losses. The Redhawks opened the game at a torrid pace offensively, hitting 5 of their first 10 shots and 3 of their first 5 from outside to take an early 15-4 lead. UTRGV ramped up its defense from there, forcing six turnovers during the next seven minutes to cut the deficit to 26-20 on a Nick Dixon jumper with 5:47 to play in the opening half. That surge would be short-lived, however, as the Redhawks began to capitalize on their considerable size advantage in the low post to close the half on a 13-5 run and extend their lead to 39-25 at the break. UTRGV ended the first half by shooting just 29 percent (8 of 28) from the floor, while Seattle U hit 43 percent (12 of 28). Seattle U continued to bombard UTRGV with hot perimeter shooting in the second half, extending its lead to game-high 18 at 51-33 with 14:31 to play. But UTRGV kept its energy, and the Vaqueros’ aggressive defense found its form. UTRGV forced three quick turnovers and drew 11 fouls to spark a 16-2 run and pull within 53-49 with a little more than eight minutes to play. That was as close as UTRGV would get, however, as Seattle U countered with a 10-2 run to pull the lead back to double digits at 63-51. From there, the Redhawks controlled the pace with a deliberate attack that melted away large chunks of the clock ahead of the 77-60 final. The Vaqueros shot just 29.8 percent (17 of 57) for the game and 13.5 percent (2 of 15) from beyond the arc. UTRGV was paced offensively by Dixon, an All-WAC First Team selection, who led all scorers with 24 points, including an 11-of-12 performance from the free-throw line, with three rebounds and three steals. Thursday marked Dixon’s 16th game with at least 20 points this season and his 29th overall since joining UTRGV. Lew Stallworth was UTRGV’s next leading scorer with eight points. No other UTRGV player scored more than five. Xavier McDaniel Jr. led the Vaqueros with seven rebounds, and the team totaled just four assists. Seattle U benefited from five double-digit scoring performances, including double-doubles from Aaron Menzies and Richaud Gittens. Menzies finished with 12 points, a game-high tying 10 rebounds and five blocks, while Gittens added a team-high 17 points, 10 rebounds and three of the Redhawks’ five total assists. As his time as a WAC student-athlete neared its end, Dixon reflected positively on his tenure at UTRGV, which included two seasons as one of the best scorers in program history. UTRGV will now play the waiting game as postseason bracket selections are finalized. The Vaqueros are in search of the program’s first postseason berth since a trip to the 1981 NIT. If that bid should come, Hill is confident that UTRGV can be ready to answer the call.